Guest post by Ramon Chen, CMO, Reltio. Patient-centricity , patient centered thinking, and the rise of the “p-suite” in pharma companies continued a trend established over a year ago when Sanofi broke new ground by hiring Dr. Anne Beal, former deputy executive director of the Patient Centered Outcomes Research Institute (PCORI), to the newly created role of chief patient officer. Her new responsibilities included elevating the perspective of the patient within Sanofi and finding better ways to incorporate the unique priorities and needs of patients and caregivers. Yet as life sciences companies continue the pursuit of a 360-degree view of “customers” typically classified as healthcare professionals (HCPs), a view of patients has been even harder to come by. 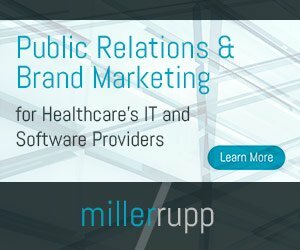 Partly because of HIPAA and privacy requirements, but also because, unlike healthcare providers and payers who have regular contact with patients, life sciences companies engage primarily at the level of clinical trials and consumer marketing. Better understanding of the patient is top priority in life sciences for 2016, and executives will continue to push cultural change facilitation, enhanced cross-functional collaboration, and increased employee engagement. But what would a life sciences company consider to be a key patient engagement metric and a measure of ROI? With data about patients spread across a significant number of sources, including internal, external and social, merely identifying and collating that data can be a challenge – let alone deriving insights that can support patient-centric strategies and programs. Technology exists today to turn patient data into actionable insights for better R&D and commercial efficiency, as well as to deliver better services to the patient. In order to rapidly analyze data and target audience needs with products and services, life sciences will need to close the loop by tracking and monitoring the effectiveness of their offerings. In other words, they have to be both patient-centric and data-driven. Healthcare providers and payers have approved access to member and patient data, as compared to life sciences companies, so are able to develop a new breed of data-driven solutions built to serve individuals, employers, providers, brokers and more. These tools, products and services bring value to every stakeholder, and ultimately benefit the patients themselves in the form of better care, lower premiums and improved efficacy. However, being able to do so requires a significant step up in data management capabilities. Today’s modern data management platforms are not just cloud-based, but include a reliable data foundation that in generations past, used to cost IT teams millions of dollars in hardware, software and implementation resources alone to produce.